The Eastham Superette Is 60! 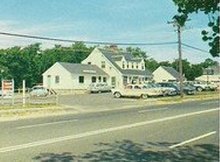 The Eastham Superette, across Samoset Rd from the Eastham Windmill and Windmill Green, is turning 60 years old. I live near the Superette and know that if we need something the Superette probably has it. They have all the important staples, like milk & bread, as well as some locally grown vegetables, deli sandwiches, and beer & wine. The picture (right) is a capture from a 1950's postcard. To celebrate, the Superette is hosting a birthday party next Saturday, March 3rd, from 11 to 2. I love birthday cake! Join the (really) nice folks at the Superette. 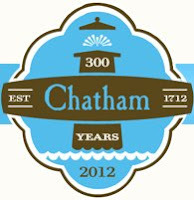 The Town of Chatham will be celebrating its 300th anniversary of incorporation this year, pretty much all year, with a massive schedule of events. There will be parades, theator, a bike ride (the "Tour de Chatham"), lectures, dances, etc, oh my! The 'discovery' of Chatham dates back to 1606 when Samuel de Champlain entered Stage Harbor to repair a rudder. The rest 'is history'. Check out the event schedule on their website's event page. Also, watch the video, below. It's wonderfully produced and a great ad for Chatham. 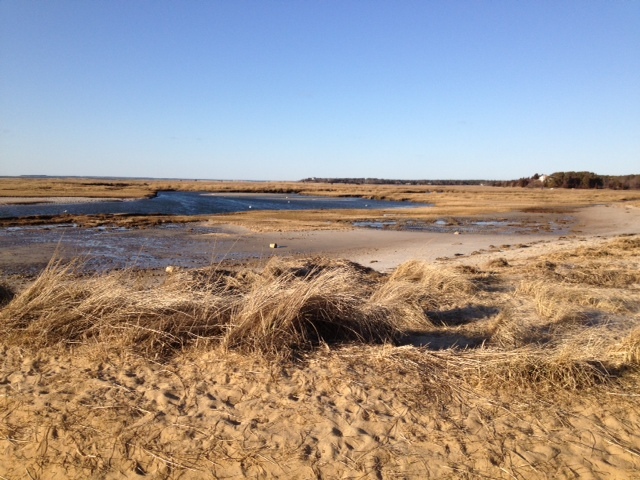 Today was a delightful day on the Cape with clear skies and bright sunshine, albeit a bit chilly. I stopped at the Eastham Windmill and snapped the photo below. At the risk of jinxing the fabulous winter that we're having, I feel that I need to post the following photo slideshow before Spring officially arrives. The Cape Cod Times posted this slideshow of their 'Top 10' winter reader photos. Wonderful!. 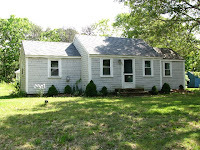 Eastham Active Listings WAY Up! As I reported the January results (below) 2012 has started as on OK year. However, the inventory of for-sale homes is the highest for a mid-February as I've seen it since I've started keeping track in 2004. That's great news for Buyers, but probably not-so good for Sellers. Spring will certainly bring additional new listings. The chart below shows the mid-month active listings for Eastham, back to January 2010. You'll see that the mid-February 2012 number is 126, where 2011 was 75, up 68%. It's going to be an interesting year. On a cool afternoon that seemed to want to be 20 degrees warmer I stopped at Boat Meadow Beach to enjoy a taste of the afternoon sun. 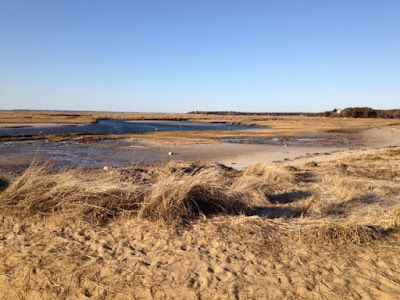 I snapped the photo below because the sea grass was such a golden color, soon the be a spring-green. Enjoy! 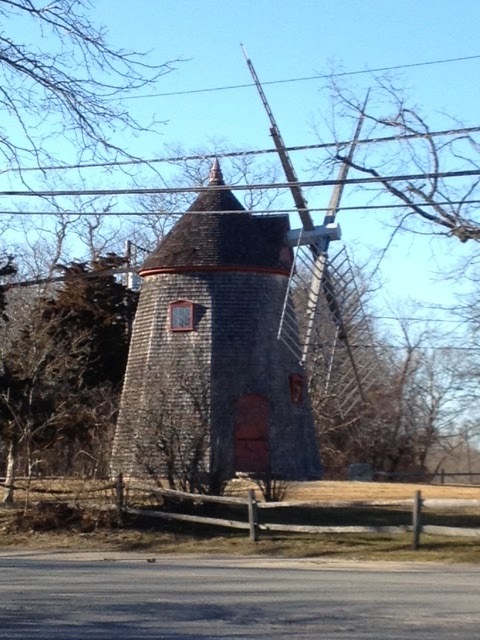 My March Eastham Newsletter Is Available Now! My March 2012 report is available now! This issue of my monthly newsletter has Part 2 of my 2011 year-end report, which compares Eastham to other towns on Outer Cape Cod. Also is this edition is the sales results from January, a new construction new listing, and introduction of my new YouTube channel. Really cool! There, apparently, is a national historical marker database. It's online (of course) at www.hmdb.org. And (also, of course) Eastham has a few markers listed. I found some very recent entries for the stone marker at the Eastham Windmill, 2 markers at First Encounter Beach, and a link to an Orleans marker near Rock Harbor. Two great features of the database is are a complete transcription of the marker's text and links to the supporting history of the event/location. (Thank you Rod). 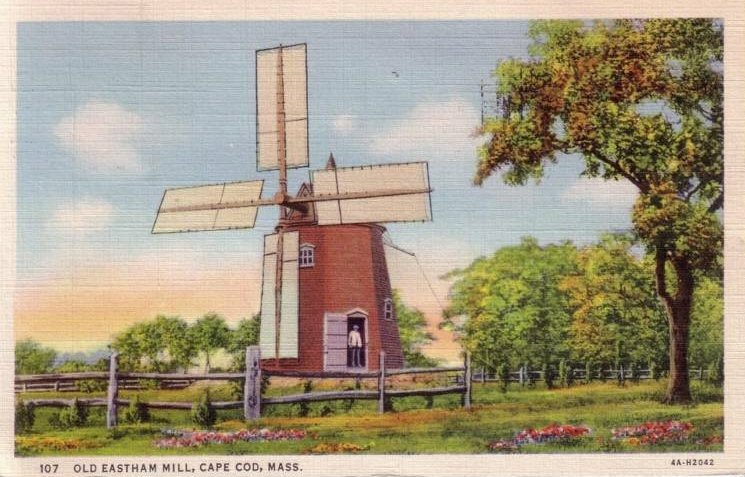 Check out the info for the Eastham Windmill here. Labels: Eastham Windmill Weekend, First Encounter Beach. I'm a total sucker for a good webcam. This one, in particular, will be a constant reminder of how nice it can be to take an afternoon playing one of the many outstanding golf courses on the Cape. This one, 'the Captians' is in Brewster. It's actually 2 courses, the Port and the Starboard. 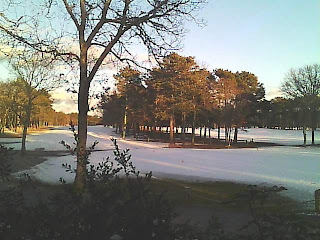 What we see in this webcam, is the practice green in the foreground and (I believe) the 9th green and 10th tee of the Port course. We'll have to wait for the snow to melt to be sure. Click here to get the current view. This is a to-be-built 1550 sqft contemporary Cape-style house, just under a mile to Campground Beach. 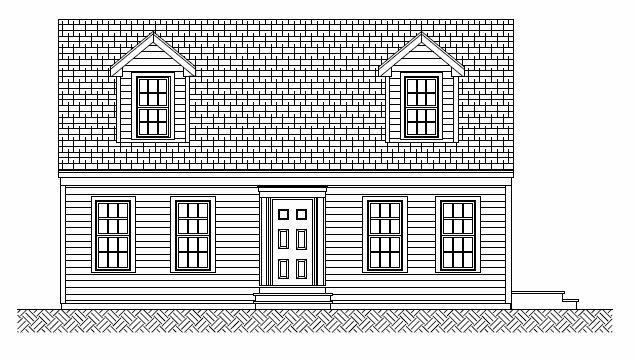 This 2 bedroom, 2 bath home will have hardwood floors, solid surface counters, gas fireplace, natural gas, full basement, rear deck, and an outdoor shower. You will find this an exceptional home with quality features and exceptional trim-work. Buy it early enough and be a part of the selection process for kitchen counters and pick your own paint colors. Go to http://15BradfordLane.robertsheldon.com for more information and photos. There, you'll also be able to download floorplans and elevation views. Robo-Signing Settlement - Homeowners Q & A. 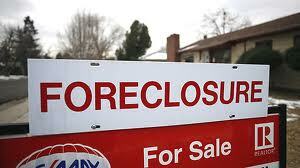 The long awaited mortgage foreclosure Robo-signing settlement has finally been agreed-to by the Federal government and the 5 key banks. The $25 billion (thats Billion with a B) settlement, announced yesterday, is expected to help many borrowers who are struggling to make their loan payments, owe more than their homes are worth or have lost their homes to foreclosure. Check out this video from WHDH, Channel 7. 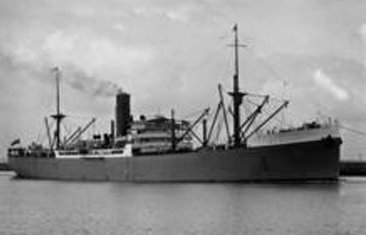 Treasure hunters are believed to be on the brink of recovering an estimated $3 to $5 billion in platinum, diamonds and possibly gold from the wreck of a British merchant steamer, the Port Nicholson, sunk off the coast of Cape Cod by a German U-boat in June 1942. The wreck is about 50 miles east of Provincetown in 700 feet of water. This may turn out to be the exciting story for 2012. 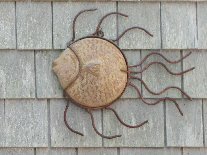 Read the story on the Cape Codder website... Here. The Wall Street Journal's MarketWatch website ran an article this weekend that makes the case that Buyer's have it pretty good this winter. This is certainly true in Eastham and the Outer Cape. We have over a year's worth of inventory and super-low mortgage rates. If we only had a more positive economic outlook, then we'd have a dynamite spring. Here's hoping! Read the Wall Street Journal article ... here.